Recently I got my hands on an iPhone. When it first came out, I have to admit I wasn't really interested. So a few weeks ago I became the pleased owner of an iPhone4. 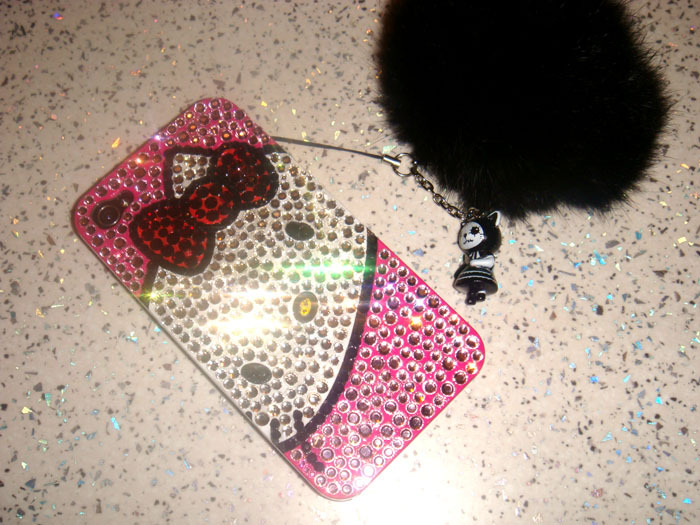 I have a love for cute Hello Kitty stuff, so my first case had to be HK themed. 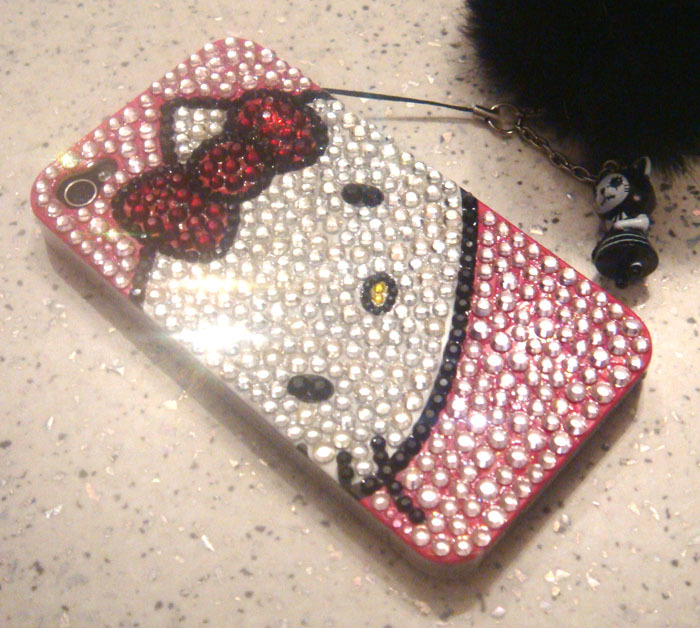 I blinged up this cute case using swarovski crystals in various colours. Also I attached a cute Hangry & Angry fluffy phone strap. As you can see my phone sparkles so much and I keep getting compliments about it. If I had an iphine, I'd definitely want it to look like that. Great job, girl! I'd like to have an iP4 too!! I love that case! You should definitely post pictures of the others when you finish them.